The most suitable form depends on many factors. Among them are the weather conditions, the terrain, the season, the hiker economic possibilities, the size of the accompanying group and much more. This settlement is usually the best bet, because it provides the minimum comfort conditions to have a good rest after a day of walking. Located in strategic regions of each route, the shelters or hostels usually have bunk beds, blankets, health services, information on the area and supplies. Many have solar panels or electricity generators, so they are an excellent place to replenish your device batteries. Some of them remain open throughout the year, but sometimes they close in the winter or when the route is not safe for hikers. Another important aspect is that in the shelters you can obtain updated weather forecasts or attend emergencies. All of them have means of communication and transport routes, which include rescue helicopters if needed. They can provide support if something goes wrong. There are different options of shelters that you could check in the Walkaholic web and app, both free (free of charge) and paid (or where a reservation is needed) to plan your route. Usually you should contact them in advance and book your stay. There are several fares according to the route and the amenities offered by the refuge. 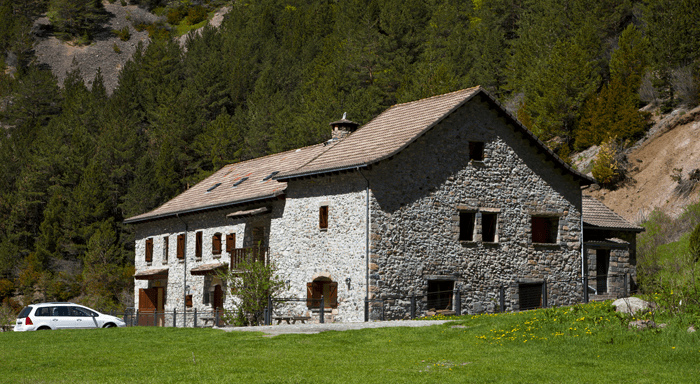 In Spain, the shelters are managed by the FEDME (Spanish Federation of Mountain Sports and Climbing), by regional federations or hiking associations that offer differential prices for their federated. If your route passes through one or more of these shelters, it is worth considering them to get a good rest, but they are not always available, it is recommended that you book in advance. 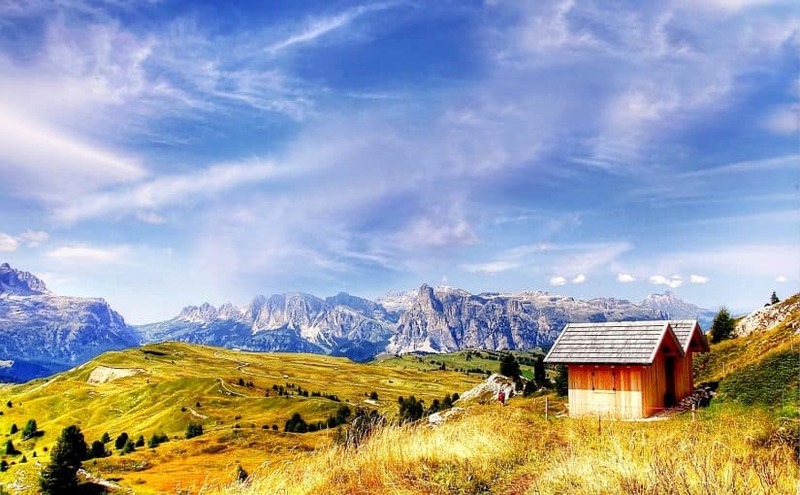 Depending on the route, you can find mountain refuges, charity hostels, pilgrim hostels, private organizations hostels, school hostels or tourist hostels. 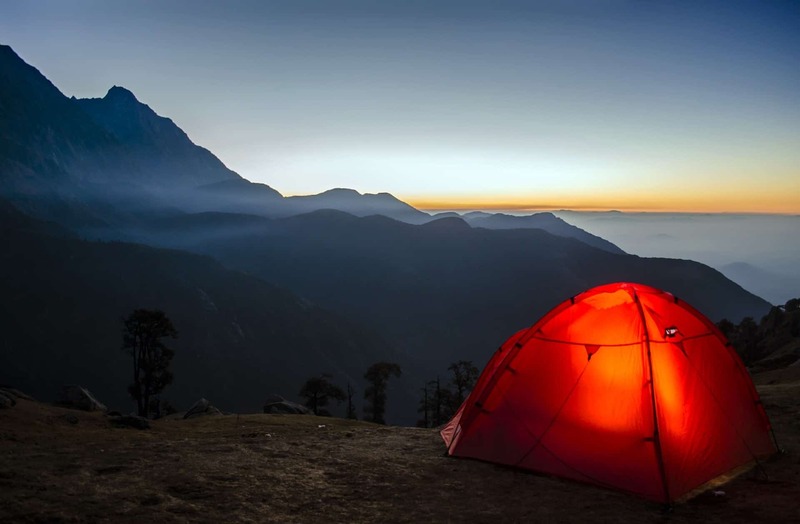 The tent is one of the most popular and comfortable choices for hikers. It guarantees some protection against the elements if the weather is not extreme. It gives the possibility to spend the night almost anywhere. 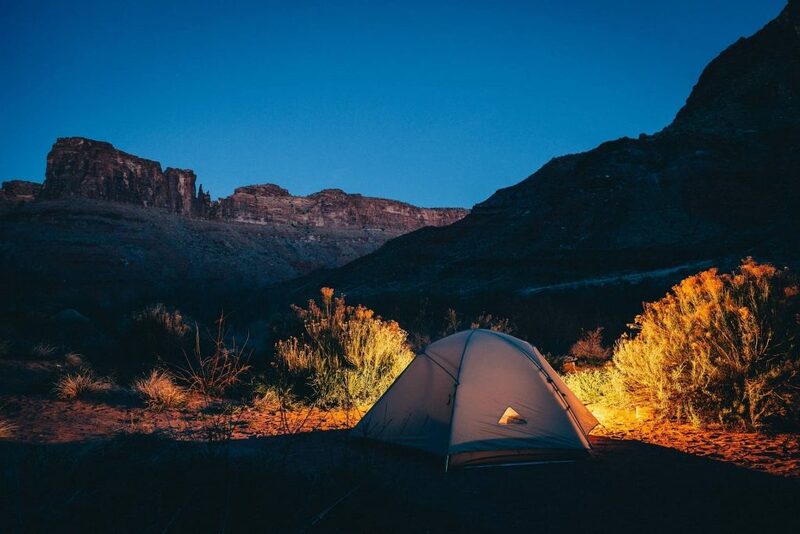 However, to make your adventure more comfortable, we recommend the possibility to sleep in controlled camping areas, which in many cases have available fresh water, WC and/or barbecue zones. The Walkaholic web and app also have information about controlled camping areas (cámpings). The main problem of the tent is its transportation, since you should carry it in your back when in route. Therefore, we must choose it carefully which one is the best in your case. For your safety and comfort, look for controlled camping areas. The first factor is the dimensions, depending on the number of people who will sleep in it. It is also vital to analyze its weight, because depending on the duration and type of travel we must transport it on our backs. In this particular, those that can be divided into sections are better and the whole group can help to transport them. Finally, the choice depends on the use we want to give it. For mountaineering, it must be very resistant to inclement weather, while trekking and hiking tents offer protection, comfort and resistance alike. Finally, the camping cannot withstand storms or strong winds, but they are spacious and comfortable. In any case, use as criterion that a personal tent for hiking should not weigh too much in order to not overloading your back. If the weather conditions allow it and we go hiking in a wooded area or the beach, a light and popular option to sleep is the hammock. This portable bed stretched between two supports can support weights up to 300 kg and more. Depending on the weather, you would also have to use the sleeping bag inside the hammock. It depends on the cold, rain or wind. We also recommend using a tarp: a strong, flexible and waterproof canvas that will cover you from the humidity and the rain. The hammock: a lightweight option to transport and easy to install. They have the additional advantage that they allow you to separate yourself from the ground, so you will be safe from insects and other annoying terrestrial neighbors. If you like to protect yourself of mosquitoes and other flying insects, you can use a fly net. When you buy the hammock, be sure that the fly net is incorporated, since not all the models have it. 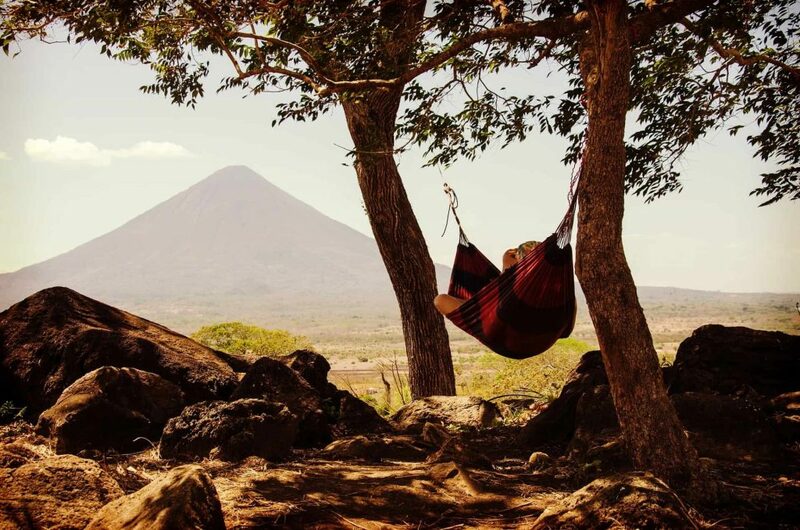 The best hammocks are those that do not have crossbars that increase the weight made of waterproof materials such as nylon, with precise dimensions for your size and that have hooks and a bag to pick it up. Of course, they must also be lightweight. 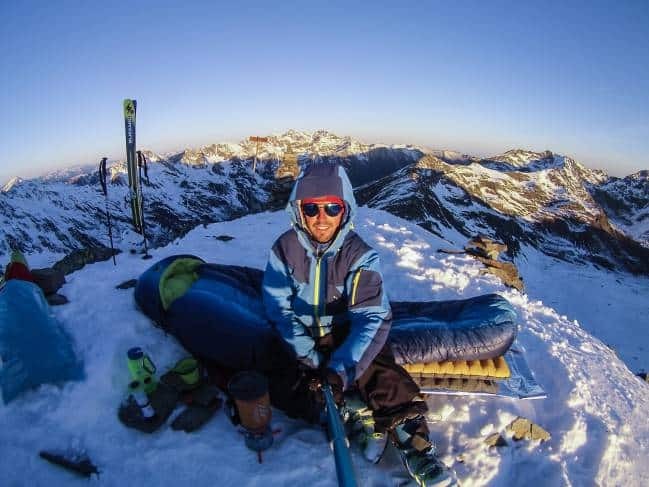 Bivouac is one of the most used ways to sleep while hiking. It is overnight without further protection than a good sleeping bag. It may be a good idea to consider, because it allows you to rest quickly if something unexpected happens or if the route is very long. To make bivouac, you need three main elements: a sleeping bag, an insulator and a bivouac waterproof sheath that allows perspiration. The good ones are somewhat expensive, but it is worthwhile guaranteeing the comfort to rest in hostile terrains. To sleep outside a shelter it is important to have a place that is flat, so it is not advisable to wait until the last light of day to find a suitable place. If there is a slope, always try to place your head towards the highest area. If possible, turn your back to the wind and protect yourself with natural barriers. Never make your camp near cliffs, because if it rains, mudslides can happen that put you in trouble. The same goes for areas of possible landslides or avalanches. Also, do not choose sites very close to the riverbed. This way you will avoid a sudden flood, a bad encounter with an animal that came to drink and at least, the annoying mosquitoes. But, above all, respect nature. Do not ignite fires that can be out of control if you leave them unattended, do not leave any garbage and inform yourself and respect the regulations of the trail you choose to go hiking.